Radical Acceptance is a method and practice for finding and keeping love for the rest of your life. 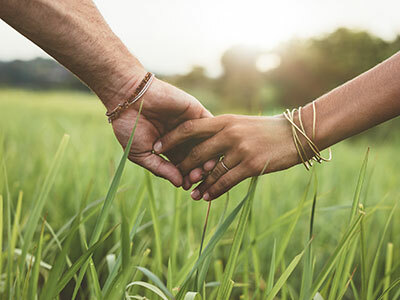 It is a way for people to connect to each other, to use introspection and tolerance to connect both with partners and yourself. Here is an outline of the steps that will get you there. 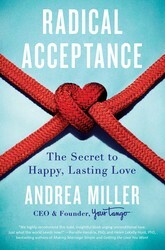 Learn more about it in Radical Acceptance: The Secret to Happy, Lasting Love by Andrea Miller. STEP 2: Stop, Reflect, Introspect. You will explore what happens when you inevitably want to reject something, maybe several things, about him. You will want to make him stop doing that extremely annoying thing he does. Perhaps you’ll mutter, “Oh my God, I’m going to kill him,” under your breath. That’s okay—who hasn’t felt these excruciating pangs of anger and hurt? Stop, Reflect, Introspect is a powerful technique that allows you to get outside your emotional reactions. Not only will this help prevent blowups, but you will understand what occurs internally for you that enables so much pain and hurt. Empathy and compassion play a leading role in this chapter. STEP 3: Radical Communication. We will discuss proven methods for creating safety in your relationship. Safety and trust are essential ingredients for successful communication. Creating a safe space for vulnerability is crucial for Radical Acceptance to fully take root, and I will help you get there. We will delve into techniques to facilitate better communication, including being very mindful of body language (both yours and his). STEP 4: Love All of Him—Even the “Unlovable” Parts. There is no such thing as meeting him halfway when it comes to Radical Acceptance. Radical Acceptance means you always have his back—even when he is wrong. Radical Acceptance is unconditional love—even when it feels unbearably difficult, when you feel deeply hurt or disappointed, or when you feel he is at fault. Step 4 is the bread and butter of Radical Acceptance. How do you love the unlovable parts of someone? Or at the very least make peace with them? I will show you. STEP 5: Apply the Platinum Rule and Make Him Your Priority. Yup, we’re going one past the golden rule! In this section, we’ll practice how to express your affection in ways that are most meaningful to him, and how to train yourself to become more in tune with his wants and needs without becoming a feminist’s nightmare! We’ll also delve into how crucial it is to make sure he’s a priority to you—and that he knows it! We’re not done, yet. There’s more to radical acceptance. Andrea Miller shares how she’s put the method into practice in her own marriage.